CHINESE car maker Great Wall Motor has released images of its new Adventure ute, scheduled for introduction into Australia and NZ next year. The new model is part of a major launch set for Auto Shanghai on April 16. 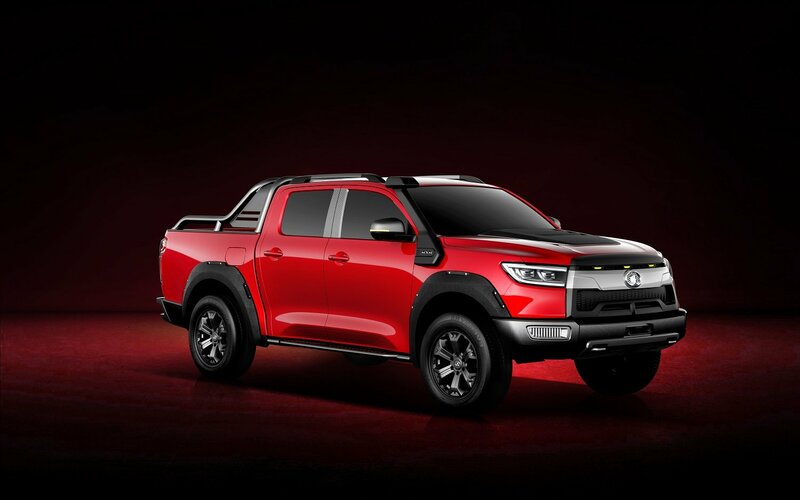 The Adventure model, which adopts GWM’s new tough truck design direction, incorporating a single bar grille, high penetration LED headlights and carbon black wheel arches, will join an urban spec ute and a 500km range EV ute at the launch. The rear of the pickup truck also features LED taillights, an extended sports bar and a specially designed tailgate for off road bike enthusiasts. It also features a built-in front winch, triple diff locks and a 7-setting all-terrain control system. The complete setup will allow Great Wall to offer segment leading 4WD capabilities and 900mm fording depth. The ute will be built in the same factory where the HAVAL H9 is made, in Chongqing, China. WHO doesn't love a good disco? We're not talking about the swing your hips to 80s dance hits kind of disco either, more the mid-sized off road kind of Disco - the 2018 Land Rover Discovery Sport SD4 HSE in fact.